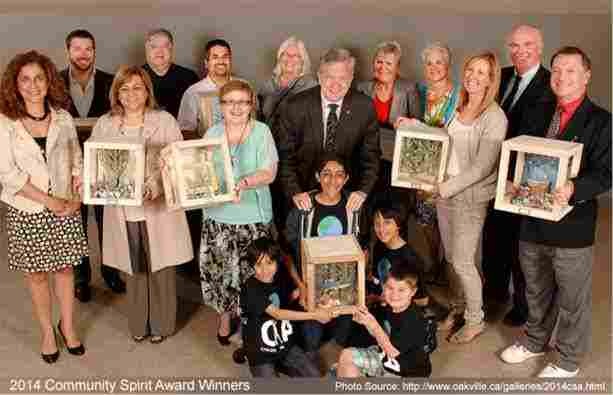 Community News: Oakville Community Spirit Awards Nomination for 2017 is Still Open! Do you know of any selfless community leader or volunteer around your area of Oakville? Now would be the time to nominate him, her, or them for the Oakville Community Spirit Awards! Community champions are usually people who selfless sly spend their time supporting and volunteering to help out with the diverse projects and activities in the community and their generous hearts are nowhere more evident than in Oakville! In view of the above, our Town of Oakville is having our 16th Annual Oakville Community Spirit Awards to recognize and reward those who always think of others before themselves. Nomination of community champions is ongoing until Monday, April 10, 2017. The deadline for submission is to give enough time for the awards to develop a profile for each of the nominees, celebrates the nominees and promote the event that will feature the Community Spirit Awards before the main night. Please note that late submissions will not be accepted. Submission forms are available online and in print at all town-owned recreation and culture facilities and at the Town Hall. A duly completed nomination form. A nomination statement which is a 250 words summary of the nominee’s significant achievements or contributions in the selected category. A reference or a testimonial. Nominees must have used their volunteering time at an Oakville organization. An updated application form will be accepted for previous nominations. Re-nomination of past awards recipients are permitted as long as they are re-nominated for a different category. Possession of unique or special qualities that bring light to how the organization or the person has made a difference in the community. Has done something that has long term impact or benefit for the community. Each nomination will be reviewed by a Selection Committee composed of community leaders and Council members. The Selection Committee reserves the right to assign a nomination to a different category if necessary and that all their decisions are deemed final. All awards recipients will be notified in writing and will be invited to attend the awards ceremony at the Queen Elizabeth Park Community and Cultural Centre. All nominees shall receive a complimentary ticket to attend the reception while friends, families, and supporters can purchase the ticket at just $15 each. More information about the Oakville Community Spirit Awards can be seen here. Looking for a place in the GTA that’s great for the family? Why not take a look at Oakville’s available luxury homes? With community spirit so warm and inviting, you’ll be asking yourself why you didn’t move to Oakville sooner. Contact us to help you purchase the home of your dreams!